At one time or another all of us have faced challenging situations that have been confusing and discouraging. And in those circumstances we've often wished that we could find a friend who understood what was really going on and who could give us some practical advice to follow. Such a friend would be a source of wisdom that would bring us great joy. In many ways, this is how it was for the early Christians who first received the New Testament epistle of James. They faced challenging circumstances that had left many of them confused and discouraged. And James wrote to give them wisdom. He wrote to remind them of God's good purposes for their circumstances. He let them know that God offered reliable guidance that they should follow. And he assured them that if they would embrace the wisdom of God, they would experience great joy. This is the second lesson in our series on The Epistle of James, and it focuses on one of the main, unifying themes of James. We've entitled this lesson "Two Paths of Wisdom," because we'll be exploring how this book offered two types of wisdom from God to the early church. And, we'll see how it provides similar directions to us as followers of Christ today. James actually used the terms "wisdom" — sophia in Greek — and "wise" — sophos in Greek — in only two portions of his letter. We find these terms in 1:2-18 and then again in 3:13-18. These passages are particularly important because they each refer to one of the two paths of wisdom James called his audience to follow. Now, we should note that when some people think of wisdom in the book of James, they think of James' distinction between earthly wisdom and heavenly wisdom. And we'll explore both these types of wisdom later in this lesson. But for our purposes, we'll focus on the two main paths of wisdom commonly distinguished within Jewish wisdom traditions. The first is what we may call "reflective wisdom," and the second we'll call "practical wisdom." Reflective wisdom is represented most clearly in books like Job and Ecclesiastes. These books search for insights into God's purposes behind trials and troubles. Practical wisdom, on the other hand, appears most prominently in the book of Proverbs. This is a book devoted primarily to advice and guidance for everyday life. As we explore these two paths of wisdom found in the book of James, we'll consider first the way of reflective wisdom. And second, we'll look at the way of practical wisdom. Let's begin with James' attention to reflective wisdom. All of us have faced situations that we think we understand, only to find out that we were mistaken. We often have to look beyond appearances and take a second, more careful look to see what is really going on. In many ways, this is how James began the main body of his book. He called on his audience to look beyond the appearances of discouraging circumstances, and to gain insights into what was actually happening in their lives. We'll explore how James dealt with this kind of reflective wisdom in three ways. First, we'll note the need of his audience. Second, we'll see the guidance that James offered them. And third, we'll note the connection between reflective wisdom and faith. Let's look first at the need James' audience had for reflective wisdom. In our previous lesson, we learned that the original audience of this epistle consisted primarily of early Jewish Christians. They had most likely been forced out of Jerusalem by waves of persecution following Stephen's martyrdom. And it's clear from what James wrote that many needed help with discouragement and confusion as they faced serious trials in the lands to which they'd been scattered. To understand the need of James' audience, it will be helpful to look at two dimensions of this passage. First, we'll examine the challenge of trials. And second, we'll explore the many kinds of trials that James' audience faced. Let's begin with the challenge of trials. In James 1:2 the term translated "trials" is the Greek noun peirasmos. This term can be translated "trial," "temptation" and "test." In a similar way, its verbal form peirazō can be translated "to try," "to tempt" and "to test." Understanding the range of these possible translations helps us grasp the circumstances facing the original audience of this epistle. In effect, they faced difficult trials, and these trials brought temptations their way for the purpose of testing them. Unfortunately, modern Christians often diminish the significance of what James had in mind because we treat trials, temptations and tests as entirely distinct ideas. But, Scripture, especially wisdom literature such as the book of Job, presents these concepts as facets of every challenging circumstance that God's people face. Challenging circumstances are trials because they are difficult and require endurance. But such circumstances are not morally neutral. They are temptations to react in wrong or sinful ways. And challenging circumstances are also tests from God. They are the means by which God tests and proves the condition of our hearts. Keeping in mind the need resulting from the challenge of trials, we should also note that in 1:2 James mentioned many kinds of trials. When James spoke of many kinds of trials, he pointed to a number of difficulties that involved turmoil and controversies between poor believers and wealthy believers in the early church. On the one side, James wrote a lot about the challenges facing poor believers. According to Acts 2–6, there were many who were poor in the early church in Jerusalem. And because James wrote to believers that had been scattered from Jerusalem through persecution, the number of poor had most likely increased. In 1:9 and 4:6, James called these Christians the "humble," or tapeinos in Greek. This term meant "of low social status." In 2:2, 3, 5 and 6, he also called them "the poor," or ptochos in Greek. This term meant "economically deprived." In 1:27, he referred to "orphans and widows." The Scriptures often identify this group as particularly vulnerable to poverty and mistreatment. In 2:2, James indicated that some of these impoverished believers wore "filthy old clothes." And according to 2:15, at least some of them were so deprived that they were "without clothes and daily food." James mentioned a number of specific challenges facing the humble and poor in the church. To name a few, in 1:9, he noted that some of them were tempted to self-denigration. They had failed "to take pride in [their] high position" as people chosen by God for the glory of eternal salvation. According to 3:9, their circumstances often tempted them to curse others, even as they professed honor to God. In 3:14, James warned that some were tempted to "harbor bitter envy" toward others and to become consumed with "selfish ambition." As a result, 4:1 addresses the temptation to become involved in "fights and quarrels" within the church. And in 5:7, James challenged the poor to avoid impatience by calling on them to wait patiently for the Lord's return. On the other side, wealthy believers also faced trials. According to Acts 2–6, at least some in the early church in Jerusalem had enough wealth to care for their poor brothers and sisters in Christ. And apparently, even though they'd been scattered through persecution, there were still many in the church that were considered well-to-do. James described these wealthy believers in a number of ways. In 1:10, 2:6, and 5:1, James simply referred to them as "the rich," or plousios in Greek. This was a common term for the upper class of society. According to 2:6, their social status was high enough that they regularly took others into court. Chapter 4:13 tells us that they traveled on business to make money. Chapter 5:2-3 indicates that they took pride in their clothes and their gold and silver. And in 5:5, at least some of them could be described as living "in luxury and self-indulgence." James knew that wealth brings its own challenges. According to 1:10, the rich were tempted to take pride in themselves by forgetting the humility that had overtaken them as repentant sinners. Chapter 1:27 tells us that their wealth tempted them to become "polluted by the world." Chapter 2:7 indicates that they were tempted to blasphemy by bearing false witness in court. In 2:16, James said that they were inclined to do nothing for the poor. According to 3:9, along with the poor, they cursed others as they pretended to honor God. In 3:14, we learn that they harbored their own kinds of "bitter envy" and "selfish ambition." They also engaged in fights and quarrels according to 4:1. Chapter 4:13-16 tells us that they were tempted to live as if they were independent of God. And 5:3 mentions that they hoarded wealth. Clearly, both rich and poor believers in James' audience faced a number of challenges. And both needed the wisdom James offered in his epistle. Now that we've seen how James' attention to reflective wisdom stemmed from the need created by the trials his audience faced, we should turn to a second issue: how James offered guidance for those trials. You know that the testing of your faith produces perseverance. Let perseverance finish its work so that you may be mature and complete, not lacking anything (James 1:3-4). There are many ways to summarize James' guidance in this passage, but for our purposes we'll draw attention to four elements. First, James said that their challenging circumstances were testing their faith. When James described the challenges that his audience faced as "the testing of your faith," he used the Greek term dokimion. 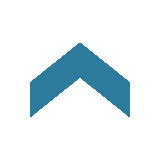 This term means "testing" in the sense of determining or proving the genuineness of something. In this case, James had in mind proving the genuineness of their faith. Remember how the Lord your God led you all the way in the desert these forty years, to humble you and to test you in order to know what was in your heart (Deuteronomy 8:2). It's clear from the rest of Scripture that God knows all things, including the hearts of all people. But this and similar passages illustrate the biblical truth that, as God interacts with his people in history, he often uses difficulties to prove or display what's in our hearts. As James offered guidance, he not only established that his readers' challenges were testing their faith. He also indicated that their trials were designed to produce perseverance. James wrote that testing produces perseverance using the Greek term hupomoné. Much like our English term "perseverance," hupomoné means to bear up under difficulty. So, James explained that trials proved the sincerity of faith by enabling God's people to endure and continue in faithful devotion to Christ. In general terms, New Testament teaching on Christian perseverance is twofold. On the one hand, perseverance is a gift of God's grace. Passages like Romans 6:1-14 teach that followers of Christ are able to endure or persevere in their faith because the Holy Spirit, who raised Jesus to new life, empowers us to walk in newness of life and faithful obedience. So, although perseverance requires human effort, we need to remember that we only persevere by God's ongoing grace at work within us. But now [God] has reconciled you by Christ's physical body through death to present you holy in his sight … if you continue in your faith, established and firm, not moved from the hope held out in the gospel (Colossians 1:22-23). Here Paul affirmed that the Colossian Christians had been reconciled to God. But they could be confident that this was true only if they continued in their faith. This requirement of perseverance was not contrary to the message of salvation by God's grace. Rather, it was the hope held out in the gospel. In his guidance, James not only discussed the testing of faith that produces perseverance. He also went on to speak of the maturity that would result from perseverance. Let perseverance finish its work so that you may be mature and complete, not lacking anything (James 1:4). Because trials and perseverance produce maturity, James told his audience to let perseverance finish its work. Perseverance would make them mature, complete, not lacking anything. Now, we have to be careful here. James didn't have in mind completeness or lacking nothing in the sense that we can reach moral perfection in this life. We know from passages like 1 John 1:8 that, "If we claim to be without sin, we deceive ourselves and the truth is not in us." But James did have in mind that we'd continue to grow in obedience to God, and, at the judgment to come when Christ returns, we'd have nothing lacking in our lives that would disqualify us. After offering guidance with regard to testing, perseverance and maturity, James indicated that, at the end of this process, there would be a great reward. As James explained here, everyone who perseveres under trial will have stood the test. And they will receive the crown of life, the crown of eternal life in the glorious kingdom of God that [the Lord] has promised to those who love him. In bringing all of these perspectives together, James offered his audience penetrating, reflective wisdom. He gave them guidance for understanding the trials they faced. In reality, every trial was a gift from God, designed for their eternal good. James' focus on reflective wisdom addressed his audience's need in their trying circumstances. It also offered them guidance. But now, let's turn to how the path of reflective wisdom required faith. But let him ask in faith, with no doubting, for the one who doubts … must not suppose that he will receive anything from the Lord; he is a double-minded man, unstable in all his ways (James 1:6-8, ESV). As we see here, James urged that prayers for wisdom must be in faith. Otherwise we will be double-minded people. Wash your hands, you sinners, and purify your hearts, you double-minded. Grieve, mourn and wail. Change your laughter to mourning and your joy to gloom (James 4:8-9). Notice here that double-minded people are not merely those who fail to have confidence when they pray. They are sinners who must purify their hearts. Their infidelity is so serious that mourning and gloom are appropriate for them. Let no one say when he is tempted, "I am being tempted by God," for God cannot be tempted with evil, and he himself tempts no one. But each person is tempted when he is lured and enticed by his own desire (James 1:13-14, ESV). It's important to note that the Greek term translated "tempted" here is the verb peirazō, the terminology translated "trials" in 1:2. But James insisted that [God] himself tempts no one. This translation rightly reflects the intensive use of the Greek pronoun autós or "himself." It does not simply say that God "tempts" — or tests — "no one." It literally says, "[God] himself tempts no one." As we learn from the first chapters of the book of Job, God is in control of all trials, tests and temptations. But, in the drama of the heavenly court, it becomes clear that God's purpose for Job's trial was for Job's good, not for his harm. Satan, not God, used Job's trial to tempt him to sin. Every good gift and every perfect gift is from above, coming down from the Father of lights with whom there is no variation or shadow due to change (James 1:17, ESV). God is "the Father of lights." He only gives "good" and "perfect" gifts. So, his purpose for our trials is always good and perfect. This must be our firm commitment of faith as we pursue the path of reflective wisdom. In our study of the two paths of wisdom found in James, we've considered James' focus on reflective wisdom. Now we're in a position to move to our second main topic: practical wisdom. What does this New Testament book have to say about putting wisdom into practice? At one time or another we've all met people who are very knowledgeable. They impress everyone with how many things they know that others don't. But sometimes, these same people don't know much about practical life. They don't know how to put their insights into right actions and attitudes. In many ways, James addressed this problem in his book. As we've seen, he opened his epistle with an emphasis on reflective wisdom. He knew how important it is to have insights into God's hidden purposes for the trials that we face. But he also stressed practical wisdom — the ability to put this knowledge into the kinds of actions and attitudes that please God. For the sake of simplicity, we'll deal with practical wisdom in ways that parallel our earlier discussion. First, we'll see the need for practical wisdom. Second, we'll note how James gave his audience guidance. And third, we'll look into the relationship between faith and practice. Let's look first at how James stressed his audience's need for practical wisdom. As we saw earlier, James only used the terms "wisdom" and "wise" in two contexts. The first of these is in 1:2-18 where James emphasized reflective wisdom. The second is in 3:13-18 where James emphasized the need for putting wisdom into practice. When we remember that many in James' audience were Jewish believers familiar with the Old Testament, it's not difficult to understand why at least some of them claimed to be "wise and understanding." But James insisted that if this claim was genuine they would "show it by their good life." In other words, they needed practical wisdom. Under the influence of Old Testament teaching — especially the book of Proverbs — James knew that wisdom was far more than deeply penetrating theological insights. Those who had wholeheartedly embraced understanding from God would live a "good life" that "comes from wisdom." But James also pointed out that this good life involves "deeds," or "works," as it may be translated. And it entails certain attitudes, like "humility." As we'll see, right actions and attitudes are both essential to practical wisdom. To explain the need for practical wisdom further, James contrasted two types of practical wisdom that we mentioned in the beginning of this lesson. He first referred to earthly wisdom. And then, he spoke of heavenly wisdom. Let's look first at earthly wisdom. If you harbor bitter envy and selfish ambition in your hearts, do not boast about it or deny the truth. Such "wisdom" does not come down from heaven but is earthly, unspiritual, demonic. For where you have envy and selfish ambition, there you find disorder and every evil practice (James 3:14-16). As we saw in the first half of this lesson, James was deeply concerned with the turmoil between poor and wealthy believers in the church. And in 3:14, he brought up the fact that many in the churches "harbor[ed] bitter envy and selfish ambition in [their] hearts." And according to verse 15, at least some of them had justified their practices by calling it "wisdom." But James warned them not to boast about what they were doing or to deny the truth that he was about to explain to them. Many modern Christians have difficulty grasping why James was so deeply concerned about the conflict between the poor and the wealthy in the early church. The church today continues to have poor and wealthy believers, especially when we compare Christians in different countries. But in the modern world, local congregations tend to be much more socially homogeneous than they were in the first century. Wealthy Christians tend to go to church with others who are wealthy, and poor Christians tend to go to church with others who are poor. But imagine if your own local church had extreme poverty and extreme wealth within it. How much friction would it create? Some believers would come to church in rags, not knowing where their next meal was coming from, while others would sit in the same room dressed in expensive clothes, with their pockets full of money. If this were the case in your local church, your church would be in turmoil. The conflicts between the poor and the rich in James' day were causing great damage in the churches he addressed. Apparently, the poor felt perfectly justified, even wise, in their envy of the wealthy. They knew Old Testament proverbs that instructed the rich to be generous to the poor. So, their Christian brothers and sisters should share what they had with them. And the wealthy felt perfectly justified, even wise, in being selfish. They could quote Old Testament proverbs that blamed poverty on sloth and explained wealth as the reward of hard work. But James pointed out that this kind of wisdom was much worse than simply being mistaken or misguided. It was earthly, unspiritual, or natural, and demonic. And the evidence of this demonic origin was unmistakable. It had led to disorder and every kind of evil practice within the church. In the end, rather than furthering the work of God, the body of Christ had become divided, at war with itself. The congregations to whom James wrote had fallen prey to the demons who sought more than anything else to destroy the work of God. And it was this destruction that drove James to insist that his audience needed practical wisdom. After dealing with the need for practical wisdom by rejecting destructive, earthly wisdom, James turned immediately to the alternative, what he called heavenly wisdom. Here we see that James had in mind wisdom from heaven, meaning wisdom that comes from God. This wisdom is peace-loving, considerate, submissive, full of mercy and good fruit, impartial and sincere. In other words, wisdom from heaven doesn't falsely justify envy and selfish ambition, neither in the poor nor in the wealthy. True wisdom from God promotes a love for peace. And God's people demonstrate this peace by being considerate of others, submissive to others, and merciful. They bear good fruit and don't show partiality to one group or another. And all of these actions and attitudes rise from a sincere devotion to Christ. Much like Jesus blessed peacemakers in Matthew 5:9, James made it clear that the poor and rich in the church would receive a great reward for their righteousness — if they became those who make peace in the church. Now that we've looked at practical wisdom and seen the need that motivated James to spend so much of his epistle on this subject, we should turn to the guidance he gave his audience for how they should put God's wisdom into practice. It's common for Christ's followers to talk a lot about the need for practical theology. We want sermons that are practical. We want lessons that tell us how to live. And in many parts of the world, there are reliable materials available that give us guidance for nearly every area of life. But the book of James reminds us of standards and priorities that are often forgotten as we pursue wisdom for our daily lives. The epistle of James has a lot of specific things to say about guidance for practical living. But, we'll limit ourselves to just two considerations. First, we'll note how James upheld the standard of God's law. And second, we'll see that James promoted certain priorities of God's law. Let's look first at the standard of God's law. Most modern Christians are aware of cautions that the New Testament raises about God's Old Testament Law. For one, we know that salvation is by grace, through faith, and not by works. And we rightly follow the emphasis of Paul in books like Galatians by standing against every attempt to earn salvation through obedience to the law. Additionally, we know that we mustn't apply God's law as if we were still living in the days of the Old Testament. We rightly follow the emphases of books like Hebrews and apply God's law in ways Christ and his apostles and prophets taught us to apply it in the New Testament age. Now, as important as these cautions are, we don't find them in James' epistle. Instead, James referred to the law of God in very positive terms. He emphasized what traditionally has been called the "third use of the law." We follow the law as an expression of our gratitude for the mercies God has shown us in Christ. Law that Gives Freedom. James' offered two descriptions of the law of God that are unique to his epistle. In the first place, he called it, the law that gives freedom. You will know the truth, and the truth will set you free (John 8:32). In Romans 7:7-13, Paul described the law as something sin uses to quicken evil desires within us to make us slaves of sin. But when James called the law, the "law that gives freedom," he described how the Spirit of God uses the law in a positive way as our authoritative guide for practical wisdom. As we've seen, many of James' readers were entangled in webs of sin that were harming the church and leaving them discouraged. And, as long as they continued to follow their own ideas of wisdom, they were unable to escape the frustrations, troubles and harm sin brought to their lives. But just as God's word first set them free from the penalty and tyranny of sin, the word of God also charted a course for practical daily life that would set them free from the turmoil and discouragements of sin. Do not merely listen to the word, and so deceive yourselves. Do what it says… Whoever looks intently into the perfect law that gives freedom, and continues in it — not forgetting what they have heard, but doing it — they will be blessed in what they do (James 1:22-25). Royal Law. In addition to speaking of God's law as the law that gives freedom, James also referred to God's law positively as the royal law. James called the law "the royal law" in 2:8. This terminology drew attention to a point of view on God's commands that appears throughout the Old and New Testaments. God's law was his royal decree. It came from the Supreme Ruler to his people as the citizens of his kingdom. Now, in the modern world we often have difficulty understanding the significance of this royal imagery. Few of us live in nations with powerful kings ruling over them. But James' audience lived under the authority of the Roman Emperor. They knew what it meant to call God's law, "the royal law." Put simply, they knew that God's law is not something to be taken lightly. It's not something that we can take or leave as we wish. It comes from the divine King of the universe. And as such, every part of it has absolute authority over us. If you really keep the royal law found in Scripture … you are doing right… For whoever keeps the whole law and yet stumbles at just one point is guilty of breaking all of it (James 2:8-10). Many, if not most, of James' Jewish-Christian audience understood that God's law was important. But as we see here, they'd submitted themselves to the law selectively. They'd kept some portions of it and ignored other parts. So, James reminded them that the law is "the royal law found in Scripture." It came from their divine King. And for this reason, "whoever keeps the whole law and yet stumbles at just one point is guilty of breaking all of it." It was unacceptable to ancient human kings for their citizens to keep only the laws of the land they found convenient or pleasant. And in the same way, it was unacceptable for followers of Christ to keep only the laws of God's kingdom that they found convenient or pleasant. Ancient human kings treated such selectivity as rebellion against their royal authority. And God considered such selectivity as rebellion against his royal authority. The law of God is the standard of practical wisdom, and it will bring freedom to all who sincerely seek to obey all of its royal precepts. Now that we've seen how James insisted that guidance for practical wisdom is found in the standard of God's law, we should turn to the ways he emphasized certain priorities of God's law. Let's face it, whenever Christians speak of keeping all of the commandments God has given us, we run into a very practical problem. There are just too many commandments to remember, much less obey them all. So, by the limits of our finiteness, we're forced to concentrate on just this one or that one. And, of course, then it becomes easy to fall into the trap of disregarding the authority of God's word by focusing only on those parts of the Scriptures that we want to obey. To avoid this problem, we need to recognize the priorities that the law itself gives us. And we must always give priority to the more important dimensions of God's law. You'll recall that Jesus dealt with the priorities of God's law in Matthew 22:34-40. In these verses, he identified the two greatest commandments. He declared, in no uncertain terms, that the command to love God, from Deuteronomy 6:5, was the most important principle to keep in mind. And he identified love for our neighbor, from Leviticus 19:18, as the second most important principle. If you really keep the royal law found in Scripture, "Love your neighbor as yourself," you are doing right. But if you show favoritism, you sin and are convicted by the law as lawbreakers. For whoever keeps the whole law and yet stumbles at just one point is guilty of breaking all of it (James 2:8-10). Notice here how James summarized the priorities of the royal law in the words of Leviticus 19:18: "Love your neighbor as yourself." It's no mystery why James did this. The turmoil between poor and wealthy believers in the church resulted from their oversight of this second greatest commandment. James emphasized the need for the wealthy to follow the priorities of God's law by loving their poor neighbors. But love for neighbor was of such importance for practical wisdom that James emphasized how it also applied to the poor. To mention just a few examples, throughout his epistle, James made it clear that loving our neighbors means to use our tongues as instruments of blessing. In 1:19, James called people to "be quick to listen, slow to speak and slow to become angry" with each other. In 4:1-3 James insisted that fights, quarrels and slander should not exist among God's people. In 4:11 he condemned "slander." And in 5:9 James ordered, "Don't grumble against each other." Instead, according to 5:16, they were to "confess [their] sins to each other and pray for each other." If believers in James' audience wanted to show that they had wisdom from heaven, they would devote themselves to the standard of God's law. And they would do this fully recognizing the priority God's law placed on their love for each other. Now that we've seen how James' emphasis on practical wisdom addressed his audience's need and offered guidance, let's look at a third major issue he raised: the relationship between faith and practical wisdom. If there is one thing that is at the center of Christianity, it would have to be faith. We speak of Christianity as "our faith." We speak of Christ as the object of our faith. We affirm the Protestant doctrine of Sola Fide or justification by faith alone. The prominence of faith that we recognize today is rooted in the centrality of faith in the New Testament itself. Faith was also at the center of first century Christianity. And for this reason, to impress the importance of practical wisdom for his audience, James raised the issue of faith. Time will only permit us to mention two ways in which James connected practical wisdom and faith. First, James explained the relationship between faith and works; and second, James explained the relationship between faith and justification. Let's look first at how he treated faith and works. And of course, the answer to James question was, "No." Faith that is not accompanied by deeds cannot save. "Faith" or "believing" translates the Greek noun pistis and the verb pisteuō. This family of words appears hundreds of times in the New Testament. But much like "faith" and "believing" in English, these words signified a number of different concepts. When James conceded that his audience believed — from the verb pisteuō — that there is one God, he alluded to what's called the Shema. With this basic concept of faith and works in mind, we should also mention James' treatment of faith and justification. Was not Abraham our father justified by works when he offered up his son Isaac on the altar? … You see that a person is justified by works and not by faith alone (James 2:21-24, ESV). Here James spoke of being justified, using the Greek verb dikaioō, which means "to declare righteous," "to justify," or "to vindicate." He argued that Abraham was justified or vindicated as righteous by works, the work of offering his son Isaac to God in Genesis 22. And on this basis, he concluded that no one is justified or vindicated by faith alone. Everyone that God accepts as righteous is justified by works. A person is justified by works and not by faith alone (James 2:24, ESV). A person is not justified by the works of the law, but by faith in Jesus Christ (Galatians 2:16). In reality, there is no contradiction here.  Rather, James and Paul used the same term dikaioō, or "justified", in two different ways. In Paul's technical theological vocabulary, he usually reserved the word "justified" for only one thing. For Paul, "justification" referred to the initial declaration of righteousness for all who have saving faith in Christ through the imputation of Christ's righteousness. James, however, spoke of justification in a different way. James used the term dikaioō to mean something like "proven to be right" or "vindicated." He didn't deny that there is an initial imputation of Christ's righteousness when a person first exercises saving faith. But, for James, the term dikaioō applied to a person who has professed faith in the Lord Jesus and is "proven to be right", or is "vindicated" by the work of the Spirit in his or her life. From James' point of view, the Spirit's empowerment leads to faithful devotion to Christ. No matter what a person may claim, if they don't demonstrate their faith through good works, then in the end they will not be vindicated. So, James spoke of this relationship between faith and justification as a way to highlight the importance of practical wisdom for his readers. Suppose a brother or a sister is without clothes and daily food. If one of you says to them, "Go in peace; keep warm and well fed," but does nothing about their physical needs, what good is it? In the same way, faith by itself, if it is not accompanied by action, is dead (James 2:15-17). It would be difficult to imagine James making his point more forcefully than this. His audience needed to address the turmoil in their churches by practical obedience to the law of God, especially the command to love each other. No matter what claims they made about their faith, they would not be vindicated as righteous in the eyes of God without the practical good works of love. 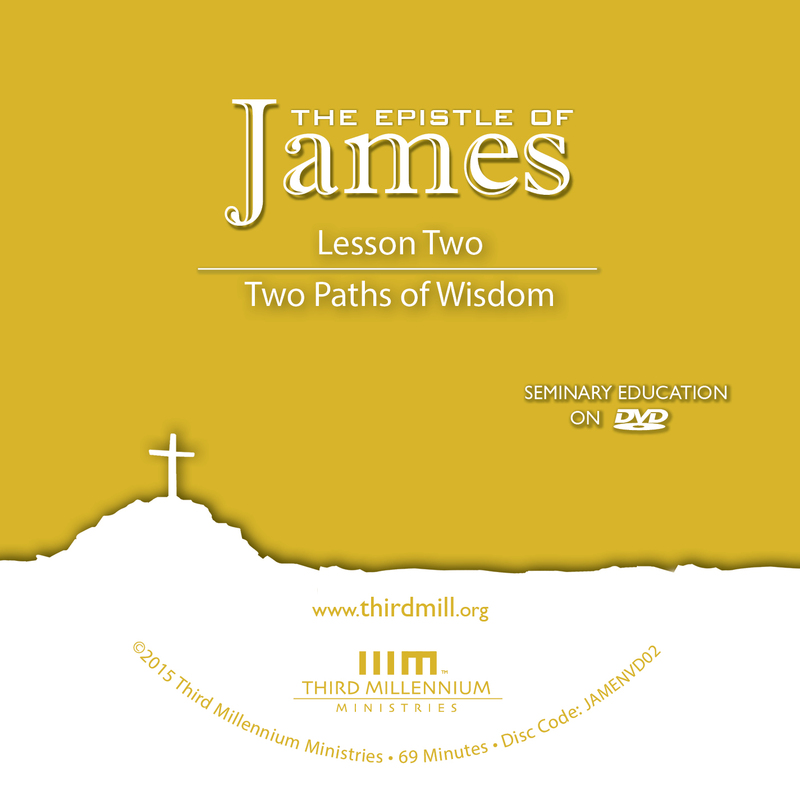 In this lesson we've looked at two paths of wisdom in the book of James. We've seen how James pointed his audience toward reflective wisdom by highlighting their need for reflective wisdom, offering guidance, and making the connection between reflective wisdom and faith. And we've also looked at how James directed his audience to pursue practical wisdom by showing them their need and guiding them to apply God's truth in faithful, humble service to God and to his people. James called on first century Jewish Christians to follow two paths of wisdom. And the same must be true for you and me today. We also need both reflective and practical wisdom. To receive these gifts from God, we must submit ourselves to the guidance James offered. And we must ensure that we do so in full faith and devotion to God. In a time when we easily follow the way of earthly wisdom, we must take the book of James to heart and follow the paths of wisdom that come from God.